Sergei Vasilyevich Chelnokov (1861-1924) was an amateur photographer who came from a renowned Moscow family , hence his particular interest as a photographer in the cultural events in Moscow of the time. He was a honored hereditary citizen of Moscow, Director of the Administration of the Moscow Alliance for manufacturing materials for construction purposes “ V.K. Shaposhnikov. M.V. Chelnokov and Co.”. Director of the Board of the Moscow Insurance Society “ Anchor”, a member of the Moscow Administrative Board, a member of the Trustee Board of the Moscow Tretjakov Gallery. 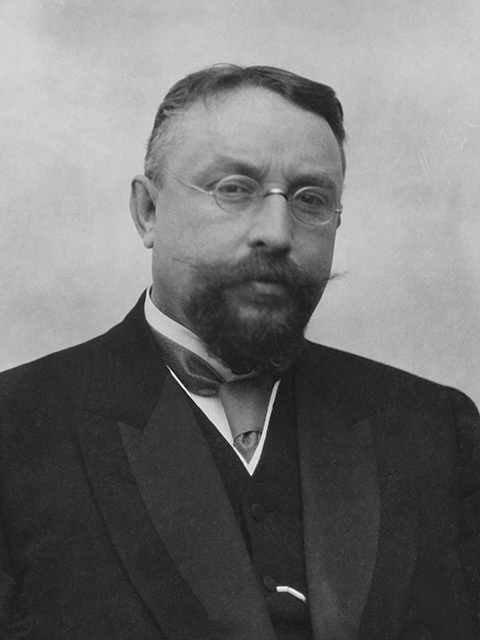 His brother Michail Vasiljevich was one of the leaders of the Cadet Party, the last Moscow City Mayor (from September 1914) and the commissar of the Provisional Government in Moscow at the beginning of 1917. In all probability he began to be interested in photography at the end of the 80ies working with different cameras, but his main interest as a photographer was mainly connected with stereo-photography. It was here that he achieved the most impressive results. Stereo pairs – are double pictures intended for viewing with the help of the apparatus “Taxi-phot” or something similar to it. For the series of the stereo photographs about Tyrol he was awarded (together with Sireishikov) a bronze medal at the All-Russian Exhibition of 1892. (At the moment it is not known where the photographs are.). Stereo-cameras at the time were accessible only to well-to-do- clients. Stereo photographs were considered to be a kind of diversion, a kind of entertainment where the plots were primarily urban views and landscapes. However it was just in those pictures that he revealed a huge range of artistic approaches and expressive compositional solutions. Among the foreign plots of the author are almost the whole of Western, Central and Southern Europe. The contemporary to him European facts of life as presented by Chelnokov look most unusual and picturesque. Besides, the most truthful pictures of architecture and the monuments of the time when Tsvetaev founded the Museum of Fine Arts in Moscow with copies of the antique sculptures, was in itself a cultural project. In his genre of reporting the events S.Chelnokov tried to convey a feeling of an immediate observer, of the reality of the events presenting the events in their reality. The series of the photographs which witness the unveiling of the monument to Gogol in Moscow (1909). the consequences of the hurricane in Mitishi, the fire of the Malii Theatre in 1914, the raising of the bells to the church bell-tower in Mitishi become street sketches and portraits of the people and the events of the time. During the Russian-Japanese War Chelnokov spent half a year in Port-Arthur and it was there that he started his war chronicle in pictures. In this objective story about the people at war one can see something which was in the center of his interest. He took pictures of the hospitals, doctors, nurses, soldiers and corpses of the soldiers. He did not try either to embellish or to dramatize the events. 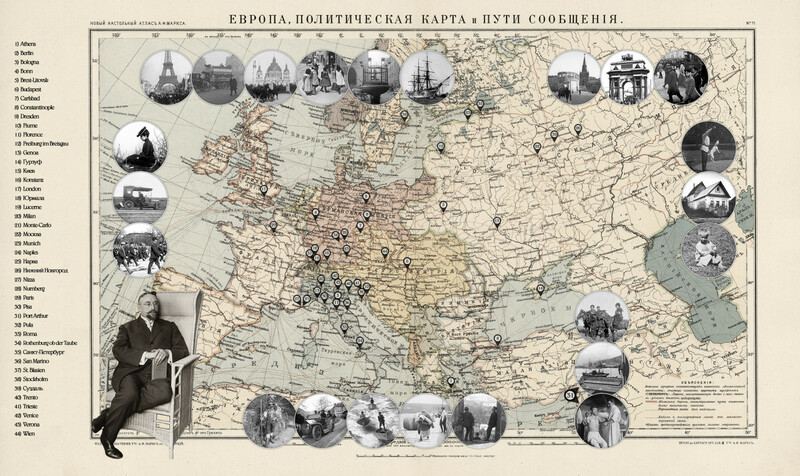 As a witness of the events in Moscow in December of 1905 S.Chelnokov follows the principle of documenting the events. These pictures of the people killed in Presnja Street in Moscow in December and the patrol of the Kazaks have become photographs of historic significance. After the events in Moscow with a short but bloody storming of the Kremlin by the Bolsheviks (October 27- November 3) a commission was created for making a report about these events before the beginning of the work of the Constituent Assembly. The fate of the Constituent Assembly is known. In January 1918 it was disbanded by the new power. Obviously, one of the photographers who took pictures of the ruinous activities in the Kremlin was S.V. Chelnokov, and these photographs alongside with the whole social and political activity of the Chelnokov family against the background of the Bolshevik revolution was the reason for his hurried departure from the country. The technique of color photos is a separate chapter in the works of Chelnokov. Up to these days there is a special wooden case which contains 50 color photographs in the technique of “auto chrome” which is considerably more than the whole collection of the kind in the Polytechnic Museum in Moscow. Among the photographs are portraits of the members of the family and of some famous people of the time, sketches of landscapes, nature-morts, scenes with people in national costumes, experiments with reproductions of pictures. The variety of the plots shows that his work with color was an experiment for Chelnokov. It is possible that the photographer himself experimented with chemical substances with the help of well known scientists (D.P.Sireishikov and others) and also his colleagues amateur photographers. He was registered among the emigrants who arrived in Konstantinopole from Russia and that same year he is found in Denmark. After the Revolution up to now his works were not known to the public. The archive which is known at present consists of more that 1,500 glass photographs and negatives (they are predominantly stereo-pairs) and a series of color photographs in the technique of auto-chrome, they cover the period from the end of 1880 up to 1917. They witness the life in Russia and Europe at the turn of the century. They are not accompanied by any comments or notes, and it was far from easy to do the reference work and to make up a catalogue of the heritage. Fortunately, the existence of the Internet permitted in a number of cases to indentify the modern view of the landscape from the same position from which Chelnokov took his pictures in 1902 ( for example the villages at Tichino in Italian Switzerland).